“Both Israeli and Palestinian officials did nothing to raise expectations ahead of the meeting, reports the BBC’s Kevin Connolly in Jerusalem, and there was never a point in the evening where it felt that they would be exceeded. And lets not forget that Hamas is nowhere to be found. Even if a peace plan were formalized, which is impossible, Hamas must be a factor in the plan. By leaving them out it will only fracture the Palestinian people further, while ultimately making the peace process moot. It is good that they are sitting down face to face talking. But until Hamas is allowed into the negotiation process, and the Israelis halt the settlement building, nothing will really happen. 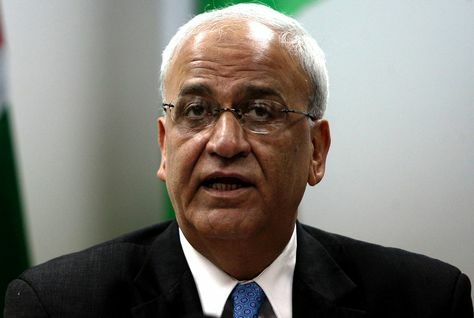 In the following days and weeks except a whole lot of diplomatic speak about the “frank” discussions between Israeli envoy Yitzhak Molcho, and Palestinian negotiator Saeb Erekat.